Following a screening of Iron Man 3 on Sunday night, director Shane Black, screenwriter Drew Pearce and stars Rebecca Hall ("Maya Hansen") and Guy Pearce ("Aldrich Killan") met with the press at a conference in Beverly Hills on Monday to answer questions about the new Marvel Studios film based on the superhero created by Jack Kirby, Don Heck, Stan Lee and Larry Lieber. ComicsAlliance was there to hear the filmmakers' remarks about the thematic content of the distinctly character-driven film, the challenges of being newcomers' to the Iron Man franchise, Black's preoccupation with Christmas, and some information about the alternate version of the film made especially for the Chinese market. Our detailed Iron Man 3 review and summary is forthcoming, but here's the spoiler-free studio synopsis that will help set the stage for the topics addressed below. Shane Black: I can only imagine that having worked previously [with Robert Downey, Jr. on Kiss Kiss, Bang Bang] contributed to him calling me and asking me aboard this somewhat more ambitious production. I had worked briefly with him and and [director Jon] Favreau during in the inception of the first Iron Man, in those early phases. I was impressed with the project, I was impressed with both of them. The chance to have a green-lit picture and to work again with Robert Downey and also spend time with Jon Favreau -- who gave me endless tips and advice -- that was too attractive to pass up. Shane Black: My ambition was to have a movie that felt like a worthy successor to the two previous Favreau films. To Marvel's credit they said, "We've done The Avengers, we've made a lot of money, but let's not do that again right now. Let's do something different." They allowed for a different, sort of standalone film where we got to be more character-centric. It's a back to basics, "What would Tony Stark do next? What was left to tell of his story?" [film]. That was very appealing to me. To make it more of a thriller, to make it more about Tony, and less otherworldly. Just to ground it more. That was our intention. I hope we succeeded. Shane Black: It just sort of evolved, oddly enough, in Iron Man 3. I actually resisted it, but it was Drew who talked me into it. Drew Pearce: If i was going to see a Shane Black Iron Man movie, it had to be at Christmas. But there's always a reason for it as well. Shane Black: I think if you're doing something on an interesting scale that involves an entire universe of characters, one way to unite them is to have them undergo a common experience and there's something about Christmas that unites everybody. It already sets a stage within the stage. Wherever you are, you're experiencing this world together. There's also something just pleasing about it to me. I did Lethal Weapon back in 1987 and we set it at Christmas and [producer] Joel [Silver] liked it so much he put Die Hard at Christmas. We don't have to do every film that way! Drew Pearce: When you're telling a story where you're taking characters apart, it almost has more resonance if you put it at Christmas. And if you're also telling the stories of kind of lonelier characters as well, that loneliness is heightened at Christmas. Shane Black: It's a time of reckoning for some people, where you take stock of where you've been and how you got to where you are now. Lonely people are lonelier at Christmas. You tend to notice things more keenly and more acutely, I think. Drew Pearce: Plus there's a kind of A Christmas Carol thing that we're bringing to Tony. Shane Black: Meeting the Ghost of Christmas Past in the sense that Harley [played by Ty Simpkins] is kind of [Tony] as a young boy. He's just encountering all these things like in a fever dream, when he's at his lowest point. That was the idea as well. 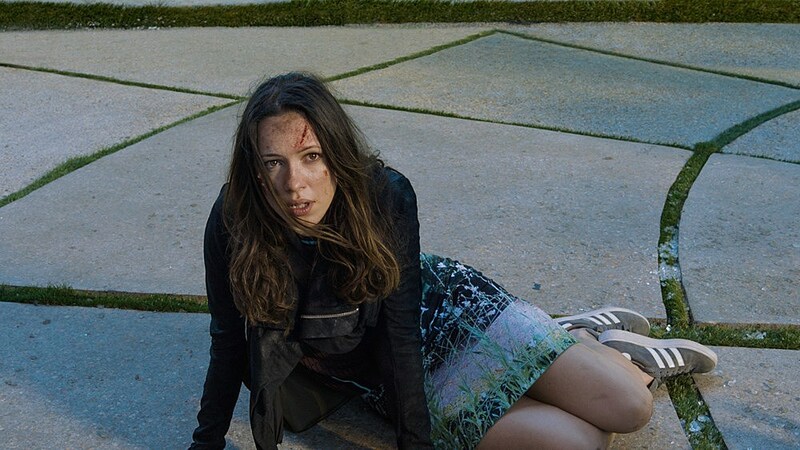 Rebecca Hall: It sounds like a slightly flippant response but it was a combination of "don't knock it till you try it," and this one seemed like one that would be very fun to try. I remember going to see the first Iron Man film and thinking, "What an unusual framework. They're not casting action heroes, they're casting Robert Downey, Jr. and Gwyneth Paltrow, this must be interesting." I remember watching it and thinking it's not just about the action sequences and the thrill ride, it's also about the repartee and the wit and the dialogue. There's something of a screwball battle of the sexes comedy going on, which I loved. I thought that this would be a great thing to be a part of. Guy Pearce: I don't know that I really got a sense of what "Marvel Moviemaking" is like, necessarily. Shane and Robert are obviously leading the charge. I guess in the end, lots of films feel the same in that you're standing in front of the camera and trying to be convincing. I think the interesting thing about doing this was that there were two previous films that were successful. Rebecca and I had seen both of those films and admired them, so it's interesting to step into something that already existed. Obviously working with Robert is something quite specific because he's the genius that he is; he likes to have a lot of fun, he likes to improvise, you've really got to be on your toes. But I think every film you do feels different from the last film you've done. So I didn't think "Oh wow, this whole Marvel Universe feels extremely different to anything else that I've done." Obviously we're very aware of the visual effects that were going on behind the scenes. There were literally people sitting behind us with laptop computers mocking up versions of what things are going to look like, which typically doesn't happen on a two-million-dollar Australian movie. So that was kind of different. You're aware of the visual effects world that will be incorporated later. Rebecca Hall: There's trepidation when you get involved with any job. But I think it would be tremendously egotistical of me to suggest that I was in some way carrying the weight of the franchise. There wasn't that kind of fear. It was more the feeling you get going to an amusement park and getting on a scary ride. You know that it's exciting and it might be a bit scary, but you know that it's going to be fun. Any job is scary but you tackle the challenges. Guy Pearce: You feel nervous about any film you take on. I think if I feel inspired by a job enough to want to take it on, then any kind of concerns that you have, you're prepared to face. I didn't have any concerns that would stop me from doing it. I'm certainly aware that there are fans behind comic strip films and obviously these Iron Man films, but you know you're in good hands with these guys. I think you just want to make sure you can bring a truth to the character you're playing. Guy Pearce: As far as challenges, there's quite a lot of green screen. I know for [Rebecca Hall] that was probably the first time [she had] really worked with it. I've done a bit of green screen stuff before. On some level it's actually kind of fun because you're really relying on your imagination, and it wasn't so extreme that you were trying to imagine a person in front of you that actually wasn't there. But as I said you've got a special effects team working away constantly and they're showing you a [pre-visualization] of what the scene and what you're meant to be doing and how it's supposed to look. In the end you're in really good hands in a visual sense as well. Drew Pearce: I think Marvel would like that to be a surprise for now. When that version of it inevitably feeds back to us, you'll see what was involved. Shane Black: There was a sort of idea for the Chinese version where it would entail additional footage that I was asked to look at and approve. I was basically doing the American version while we were simultaneously obtaining footage for the Chinese version. I got a sense of what was going on and I was asked to look at it and had a chance later to approve the footage. Now we've got these two versions and I'm thrilled that we have the opportunity to work with one of the single fastest emerging box office markets in the world, which is China where they build theaters so quickly now. Shane Black: It was pretty easy [to give up the f-word]. I had done a film for kids previously called Monster Squad. That was ages ago. So coming into this I had to say, "I remember what it was like when I went to the matinee to stand in line for The Empire Strikes Back or Star Wars or those types of films and get excited all over again for that type of adventure, where you can appeal to a family but it's still edgy. We didn't want to pander, we didn't want to make a kiddie film, but we couldn't go beyond the boundaries of PG-13. Drew Pearce: Although we did push it in the first few drafts. Shane Black: Right. Tony only said "f***" five times in the first draft. Drew Pearce: That is technically true and we had to sit down and have a conversation about that draft, about how you couldn't say "f***" in a PG-13 movie. Shane Black: When you would write for television, when I was coming up in this business, you would just say "f***" anyway and you would know that they would just take it out later. Drew Pearce: Now it's like, "But everyone's going to see this..."
Shane Black: So basically, there was no problem with that. I have no problem with tailoring material to the audience it's intended for as long as you keep the edge, as long as you don't condescend to that audience I think that it's absolutely spot on. Drew Pearce: There's also a bunch of brilliant actors, which helps so much. They give it the swing and feel of grown-up conversation without necessarily having to hit the f-button. Shane Black: Although Rebecca was pretty bad, actually. For more from the cast of Iron Man 3, check out this report from the press conference with Robert Downey, Jr., Gwyneth Paltrow, Don Cheadle and Ben Kingsley. Iron Man 3 opens May 3 in the U.S.